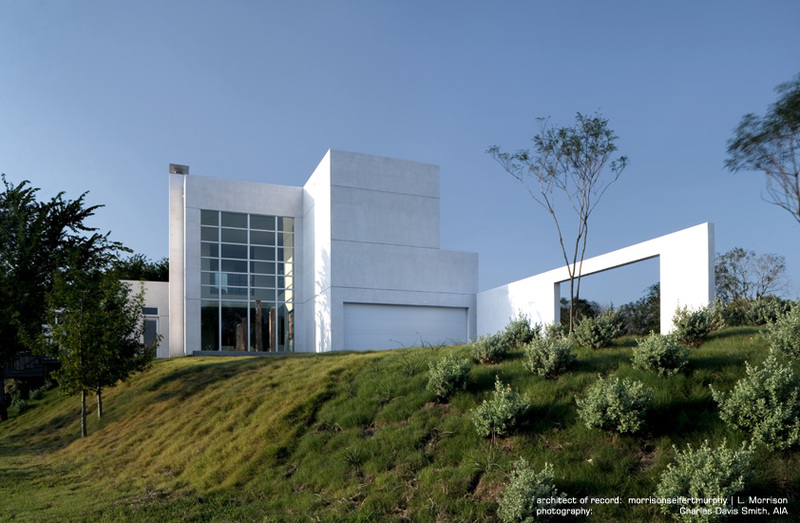 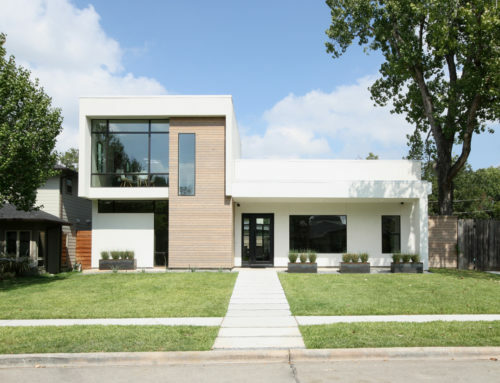 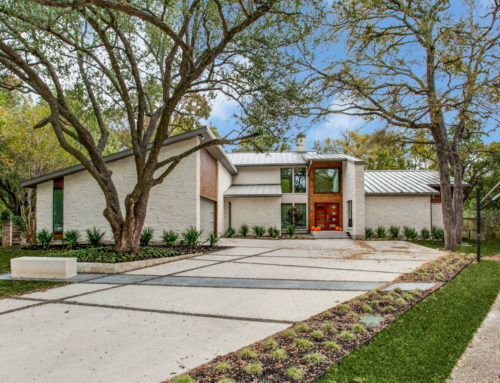 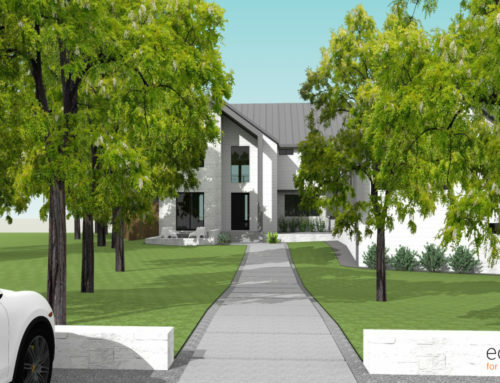 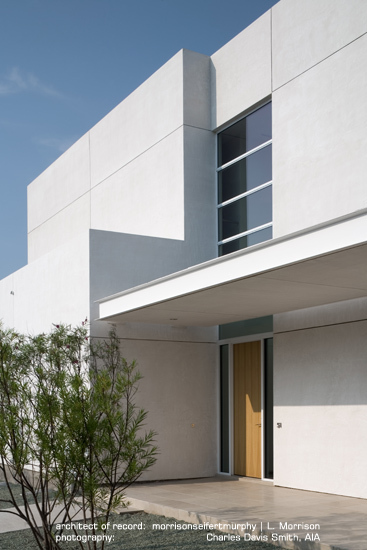 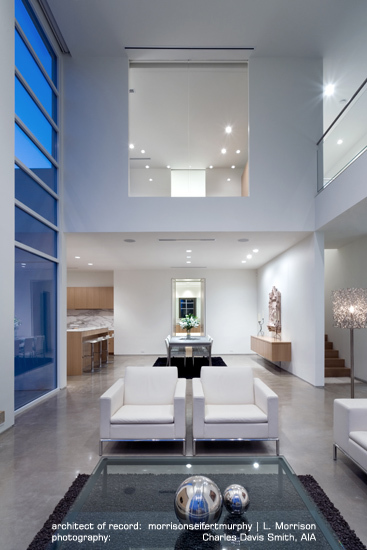 This modern residence (project completed while working at previous employer) was the first house built at the Urban Reserve community in Dallas, TX. 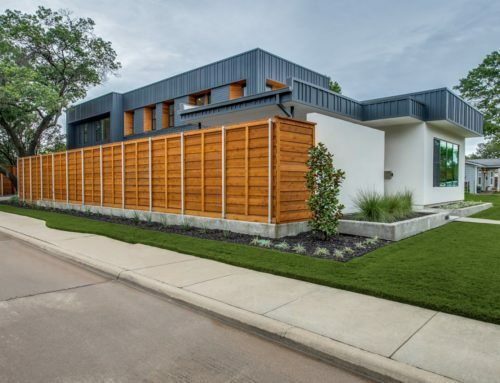 Featuring crisp detailing and open, spacious architecture, this residence sits on a small bluff overlooking a greenbelt and hike-and-bike trail. 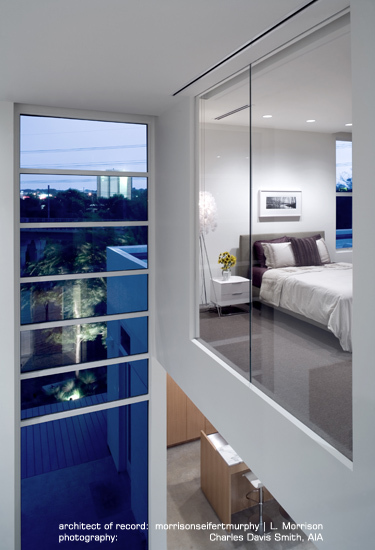 Indoor-outdoor connectivity is featured through large picture windows and the master suite features a secluded private courtyard with water feature and spa.